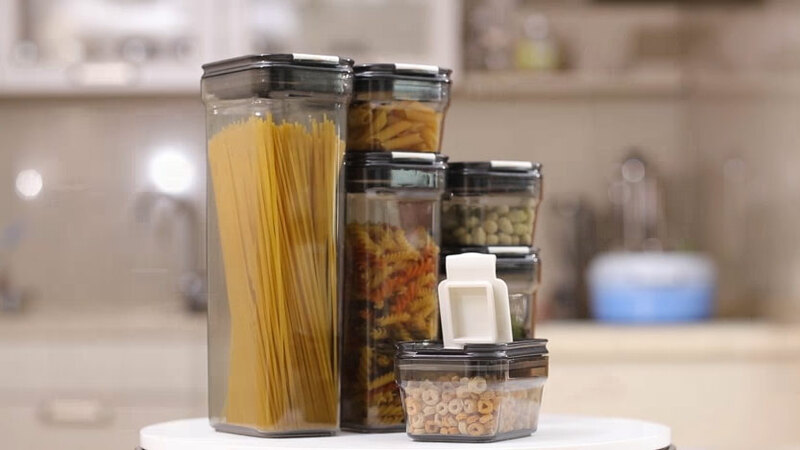 Lightweight and durable plastic is the best choice for some kitchens. 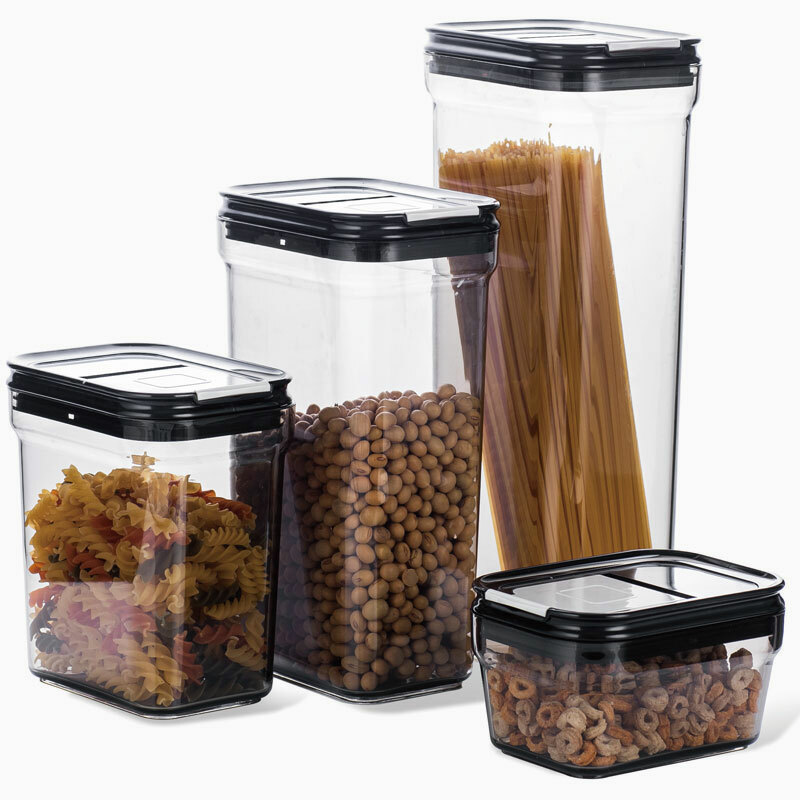 These stylish jars in four sizes add good looks to your choice,and the practical lid lets you measure just what you need. 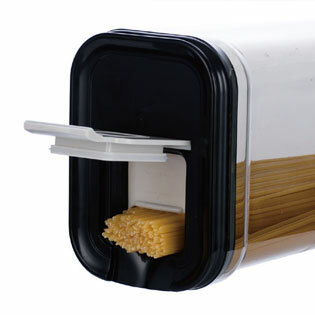 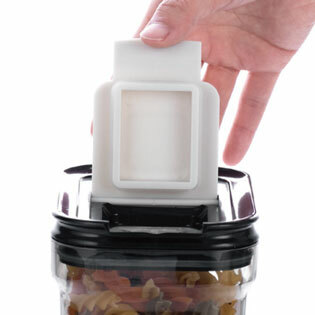 Lift the sealing lid, then slide the tab to control the dispensing speed and amount.